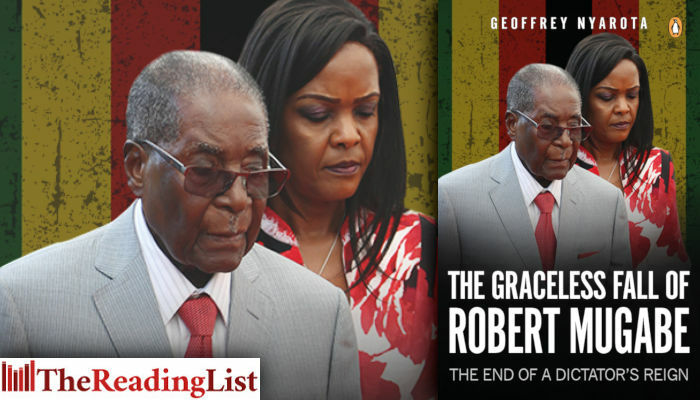 The Graceless Fall of Robert Mugabe: The End of a Dictator’s Reign by Geoffrey Nyarota is out now from Penguin Random House SA. The ousting of Robert Mugabe as Zimbabwe’s president took the world by surprise. In The Graceless Fall of Robert Mugabe, veteran Zimbabwean journalist Geoffrey Nyarota explains how and why the events of November 2017 happened as they did. The book describes the rifts within ZANU-PF as Mugabe sidelined anyone who might challenge his power, and the creation of opposing factions that supported vice president Emmerson Mnangagwa and First Lady Grace Mugabe respectively. It traces the growing ambition and power of Grace Mugabe, culminating in the sacking of Mnangagwa as vice president in November 2017, and shows how this finally spurred ZANU-PF to rid itself of the president who had done so much damage to the country over the decades. Written with the insight of a journalist from inside Zimbabwe, The Graceless Fall of Robert Mugabe is a fascinating account of the rise and fall of one of Africa’s longest-ruling dictators.